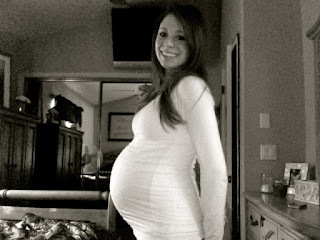 Wow i cannot even believe that i am 30 weeks already today! and she said that i could go at any time! She said that we are pushing for at least 6 more weeks. Ummm Yes. i could have these baby boys in just a short 6 weeks. i just want to hold them and give them kisses all over already! they are both kicking at me as i speak. i love these little boys so much already. We had an ultrasound last week and both babies are doing great! One was 2lbs 7 oz and the other was 2lbs 10 oz. They both probably weigh about 3 pounds each now. I have another ultrasound in a couple of weeks to monitor their sizes. to monitor the babies closely. so my doctor checked me out. those contractions, my cervix is already thinning out! So these next few weeks i have to really take it easy. i am not on complete bed rest yet, but almost. i can't even walk around or stand very often. i dont care though, because these babies are completely worth it. 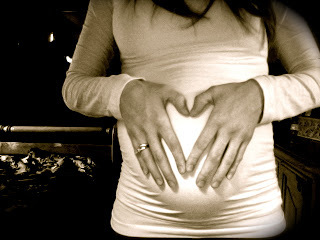 i cannot believe that this pregnancy is coming to an end already so soon. they are ready and are done growing. I am so excited for you! Having a baby is AWESOME!! SO SO fun... and you are so lucky to have 2 babies!! :) Maybe next time Brenden and I are in Arizona... we can have our boys play together. Thank you!! Yes we wil need to get together!! you make such a darling mom already!